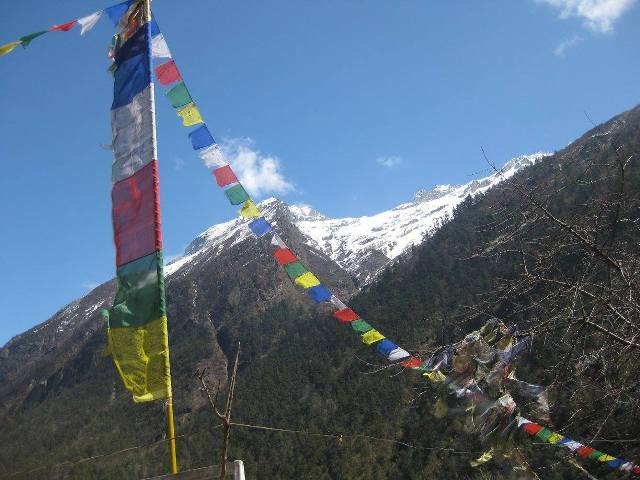 Here is the second installment from our returned Nepal volunteer, Kenny. He has been sharing his experience with us in a number of insightful posts. If you missed the first one make sure to have a read of that one here first. “The third week began as any other week of teaching at Crescent Academy. Our coordinator gave us a schedule that in true Nepali fashion wasn’t quite as accurate as we would expect in the western world. Every day at 10am we would teach class 7, the quietest and hardest working class at Crescent followed by class 6, the craziest and loudest class in the school, at 12pm. On Monday, we tried a spelling and grammar test with class 6 but by the end the kids were so crazy that we decided our best plan of action would be to teach outside of the classroom. The next day we decided to do relay races with class 6. This would give the 40 children an opportunity to blow off some steam, hopefully calm them down for the rest of the day and have some entertainment value for us. We divided the class into four teams of ten and went into the courtyard. We could barely finish explaining the rules before the kids were sprinting back and forth, cheating at every opportunity but enjoying every second of it. I was surprised to see how competitive these kids were as I had become used to the complacent and calm attitude of Nepalese. The lesson plan worked and by the time class 6 was back in their room and in their chairs, they were absolutely gassed. On Wednesday, we were told that the Godavari famous dance teacher, Buddha, would be coming in to teach Sam and me a dance routine for the upcoming ‘Crescent’s Got Talent’ production next week. With the help of students and teachers, ‘Ma Hu Nepali Babu’ was selected as our song. It translates to “Made in Nepal” which seems to add to the comedic value of two foreign volunteer teachers dancing to it. Buddha is an absolute rock-star for a chubby man in his early forties and is incredibly passionate but doesn’t speak a word of English. He is hired every year to coordinate every dance for the entire production which is quite a feat since the show is only a week away. His biggest challenge yet appears to be getting a Brit and a Canadian to dance to Nepali music properly. Sam and I lined up in an alleyway at the back of the school under the windows of class 8 and 5. Behind us was a fence that took locals from the main street down to the farms and fields below. As soon as ‘Ma Hu Nepali Babu’ started blaring over the speakers, kids hung from every window and locals poked their heads over the fence to catch a look at the foolish foreigners. As Buddha slapped the backs of our legs in place and stretched our fingers into proper Nepali form, nearly 100 kids and 20 locals had created an audience around us. Occasionally, students and locals would join in the dancing but everyone, especially Sam and I were laughing hysterically. Buddha had us dancing for over two hours when he finally let us throw in the towel for the day. We made quite a bit of progress but the necessity of hip thrusting and elegant hand gestures had me more confused than navigating buses in India. After we finished, one of our favourite teachers was not feeling well so we decided to fill in for her class 7 allowing her to go home. Apparently Buddha wasn’t the only rock-star at Crescent Academy that day. When we entered the room instead of the regularly scheduled teacher, we were greeted with a standing ovation, cheers and screams from the girls’ side of the room. I could not hold back my laughter as these kids went absolutely crazy for us. To add to their excitement, we decided to take these kids outside to play some games but due to a lack of preparation, the lesson turned into the boys wrestling and the girls gossiping at the side. Sam and I had no problem with this as these kids are never taken outside for lessons and needed to blow off some steam. Our next two days were fuelled by the outdoor fun we had with class 6 and our dance and expectations for an entertaining class sky rocketed. Since becoming school-wide celebrities, every class seemed more entertained with us than ever before. Thursday, was a rainy day which meant that classrooms were nearly pitch black due to no electricity, so our cell phones became lanterns for every lesson. This proved to make teaching for us in possible but Buddha still found a way to make us dance students again. Naturally, he chose the school break-time as our opportunity to practice. Under a tin roof with a boom-box powered with batteries from the only smoke detector in the school, we danced in front of a massive crowd of students. Slowly, we have come to memorize the steps but still struggle with achieving the full elegance of Nepalese dancers. Students continue to come up to us and encourage us suggesting that our dance is beautiful and that we are talented. These comments are certainly confidence boosting but we have a long way to go before the final performances next Friday and Saturday. If you would like to experience this for yourself check out our website to find out how you can get involved. Next Post The Oyster office&#8217;s best travel experiences!